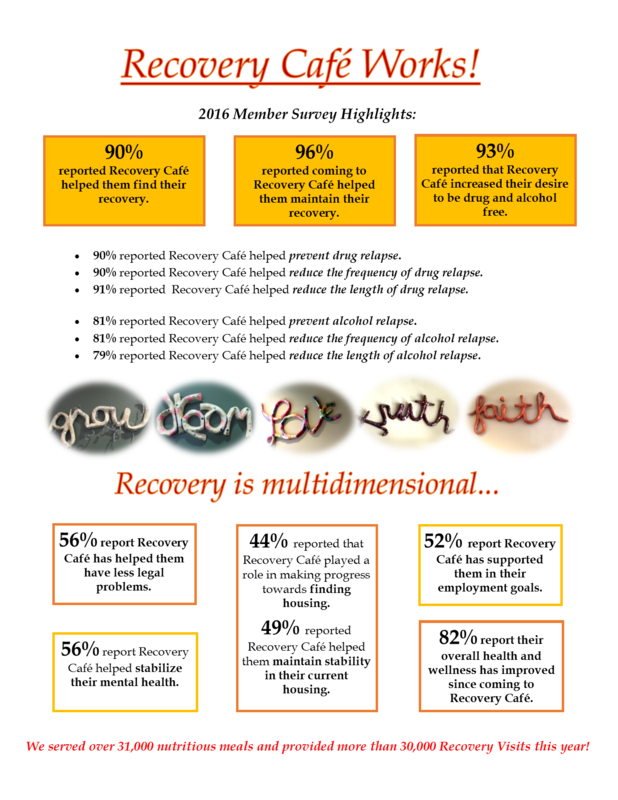 At Recovery Café, we know that every gift that someone gives us is a moment of Grace. 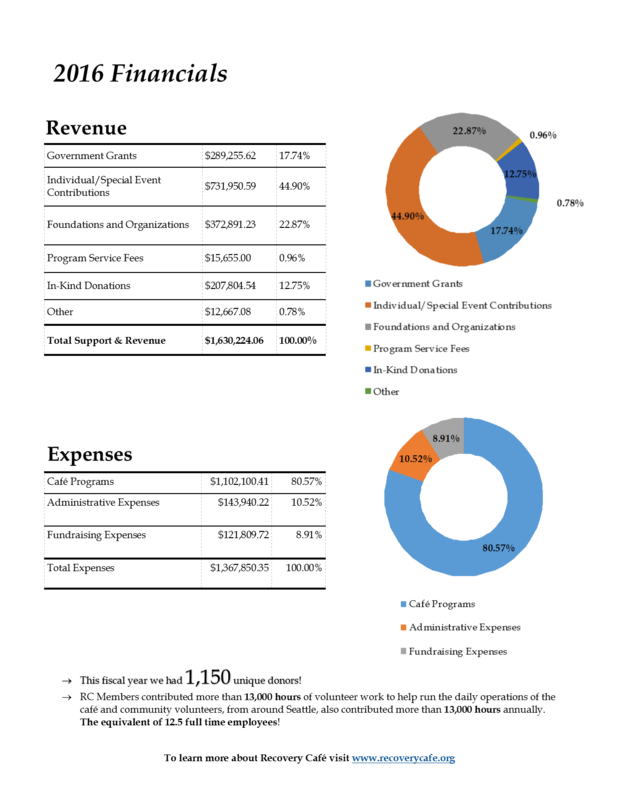 As Sherman Alexie said at one of our events, “a check is like a promise, a prayer.” We are honored by the number of people who entrust us with their resources and being good stewards of your investment is one of our highest priorities. We are constantly seeking to leverage every resource so that the greatest good can be realized. 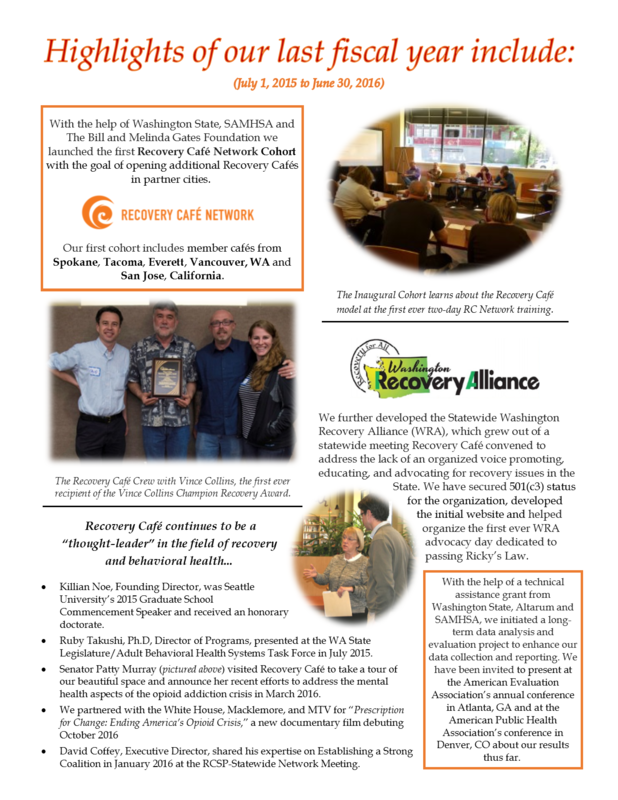 I invite you to look at our recent annual report which is intended to capture some of the highlights of the work that Recovery Café accomplished this past year with the help of our partners. 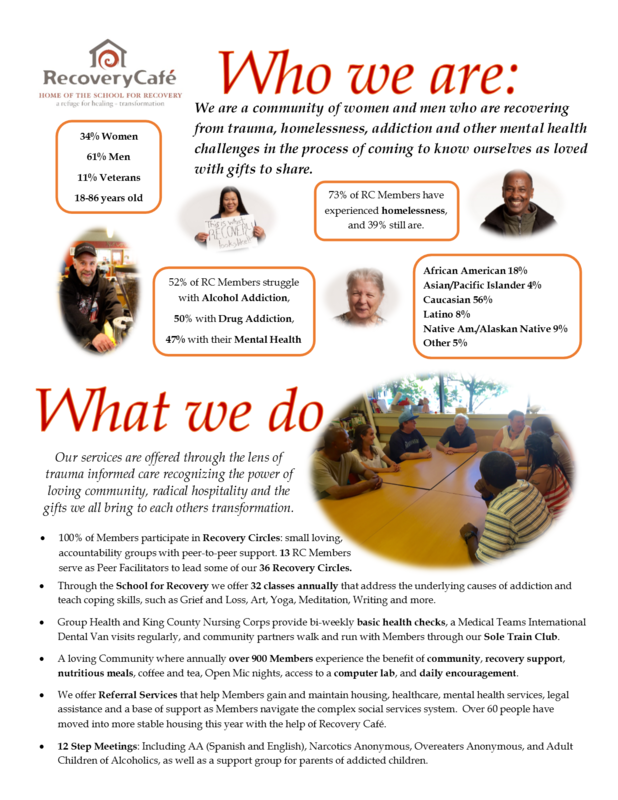 As always our gratitude for the people that make this work possible is profound and we hope you will continue on this journey with us well into the future.